Midnight was left in a carrier on a busy sidewalk near an animal hospital in Queens. Luckily a passerby noticed her and brought her to safety. We are not sure of her age, but estimate her to be 5-7. She is a sweet girl who is a little shy at first, but quickly warms up. Midnight was scooped up at Adoptapalooza on 9/16/2018. 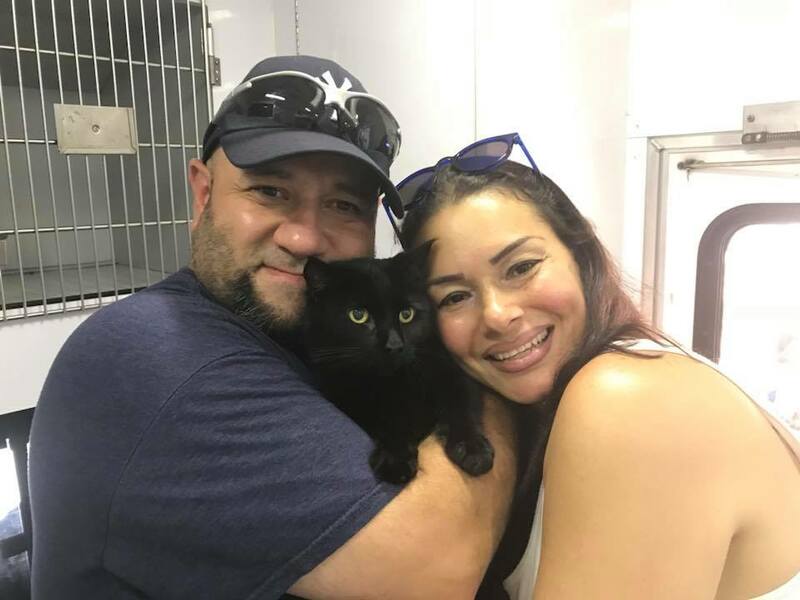 Her new family had just lost their beloved black kitty and wanted to give a home to another in need. Happy life Midnight!